Old promotional video screenshots? Where do they come from? I've been wondering for quite a while. Way long before BBS came out, we got a sneak peak to BBS through the secret ending in KH2FM, but I remember seeing some weird screenshots of something that doesn't appear in any of the games. As far as I could figure out, these came from a KH2FM+ promotional video. The thing is... Does anyone know where was this promotional video shown at? TGS 2007 maybe? I'd be grateful if any of you could answer because if it was at an specific event or something there's a possibility that we might be able to get it at some point as as any promotional material, there will be quite a few people who have access to it or have seen it. In any case, I hope I can get some more info on the topic. The Phantom's Lair, saving Raoul. And as for your question, I know these came out right after the KHIIFM secret ending did, I believe (at a closed theater at some event). But I'm afraid I can't help you more than that. No doubt there's someone here who's more savvy who can help you more, though. Best of luck! Personally, I'm still waiting for the original KH3D trailer, that wasn't shown to the public, where it was all trippy and ended with Sora waking up on the dock beside Kairi. But sadly I doubt we'll ever even get to see a picture from that one. 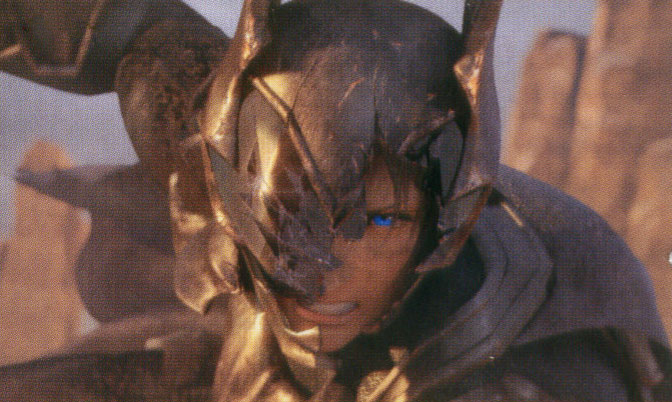 Also, somewhat off-topic, I've always wondered why SE has such beautiful pre-rendered things, that hint at the next game to come (like seen here), but never end up using them in the final product. I mean, sure it would be a bit jarring to go from a regular cutscenes to them, but FF does it all the time--and the opening and endings in KH all ready do that--so I honestly don't see what the big deal is. The climax of BbS especially would have been so much more epic to see in CG, but alas. Maybe they can have some CG scenes in KHIII? She asked hopefully. 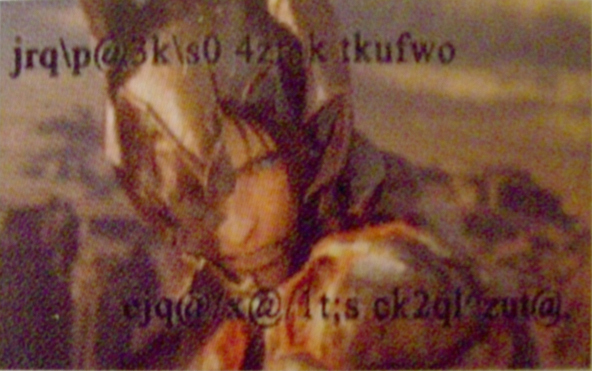 These are stills from the Final Mix announcement trailer, I believe from TGS 2006. It was shown in a closed theatre, and never made its way to the public. Not even in leaked form, and I doubt it will ever be seen. Your not alone! I think I first came here when these was still floating around. I miss the "evil Terra" images and theories. If they had proceeded developing BBS on PS2 like they were doing, BBS would have probably had more FMVs and it probably would have been much much better than it is now, at least gameplay-wise. There was however the big risk to make it just a rehash of the "Evil Riku"-plot from KH 1, which is probably why they decided to change it around later. That doesn't mean of course that they actually did a good job at it, since BBS all too often "solves" things by handing important characters not named Xehanort the idiot ball instead of fleshing out a reasonable narrative. Yeah. I love Birth by Sleep to death - it's still my favorite game in the series - but I will admit that certain aspects of it just fell flat. The fact that everyone with the slight possible exception of Yen Sid held the idiot ball is one of several flaws within the story. They did do a rehash of douche Riku in KH1. The only difference between them was Terra was either gullible or written stupid while Riku did everything on purpose. At least with an evil Terra route you get two contrasting stories. Terra would be the example of one that falls without end and Riku would be the example of redemption. At least the evil Terra route would have a more interesting story to see compared to what we were given. Just imagine Aqua, Ven and Eraqus reactions and interactions with Terra as he fell or by the end. Imagine him hijacking Xehanorts plan from him and destroying the old man only to wind up taking the name himself as Ansems amnesiac apprentice. @Key to Truth: I don't remember when it was, exactly (if I did some digging, I could maybe find the original post about it). I just remember that it was the first KH3D trailer ever shown--and that it was really, really rough, and also when we first heard about the "Soras falling from the sky" thing--but no one outside of the event it was shown at ever saw it. And seeing as how the second trailer--the first one actually released to all the public--was also mostly concept, I guess I can understand why Nomura forewent showing that short, first one at all. But even so... I really want to see it, or pictures from it, even though I know we never will. LOL. And you're right about the storage thing: I stupidly never thought of that being the reason for the lack of FMVs before, but it all makes sense now^_^ Thanks for clearing that up Here's hoping they might have more in KHIII, though, since the PS4's so powerful!